These glass balls reminded me of the marbles I played with when I was a kid. 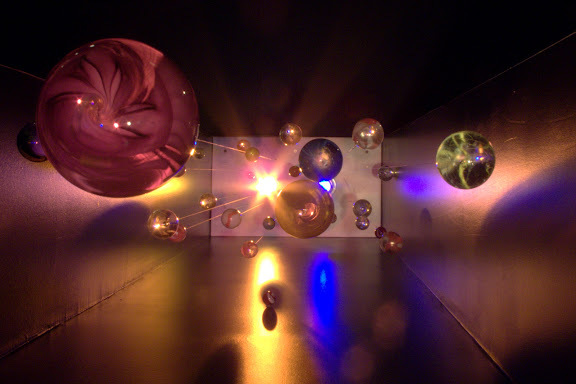 The display of the glass balls suspended on strings was never intended to be viewed from the bottom up. Located outside of Christopher's at the Heldrich Hotel in New Brunswick, N.J. Canon G10, 11 mm equivalent focal length, 1/5 sec @ f/8.0, ISO 100, camera triggered with the self timer. this one looks so abstract!